The inauguration of Auroville took place on the 28th February 1968, with a formal ceremony attended by some 5000 people around a central urn into which handfuls of earth were placed – symbolizing the unity of mankind – by representatives of the 124 countries who attended the event. Today the township, and the once barren on which Auroville is sited has become home to an expanding community of over 2800 people from over 55 nations. At the heart of the city area is the central Matrimandir, which the Mother – the founder of Auroville – calls the “soul” of Auroville. The Matrimandir’s structure and Inner Chamber – the latter a place for silent concentration – has been completed but work continues on the surrounding gardens. The city is planned to have four zones – the Cultural, International, Industrial and Residential – radiating out from the Matrimandir, each focusing on an important aspect of the township. Parks and green “corridors” are to be included within the zones, and the entire city will be surrounded by a “Green Belt” of forests, farms and nature reserves. Work on the four zones started seriously in the 1990ies. However, until quite recently progress was relatively slow, because much of the land had still to be purchased and no final Master Plan had been agreed upon. Today Auroville owns approximately half the total land needed for the township and surrounding green belt, and strong emphasis is being placed on buying the remaining land. A Master Plan has since been approved by the Government of India. The present community of Auroville consists of nearly 120 settlements of varying size, linked by a basic infrastructure of roads and cycle paths, plus water, electricity and telecommunication lines to serve the emerging township. How is Auroville attempting to realize the ideal of human unity in diversity and the new evolution? The answer lies in continuous experimentation. Auroville in an early stage of development, both outer and inner, and the challenges are immense and diverse. They include creating an environment wherein monetary exchange would no longer occur within the township. 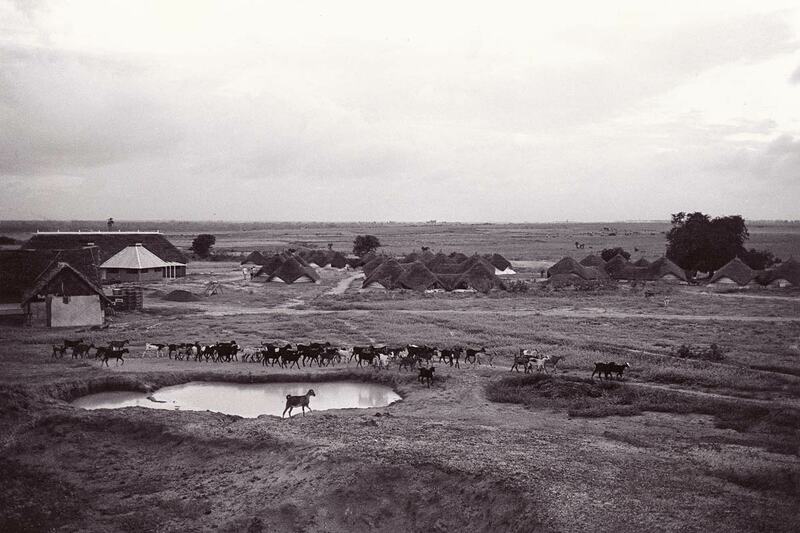 Although Auroville is still far from realizing this and other ideals, progress has been made in the following areas. Auroville’s educational programs aim to provide a child with the means to grow and develop integrally without losing contact with her/his soul. A free choice system for study is gradually introduced, particularly in higher courses. Meanwhile sports and physically education are strongly emphasized for the balanced and healthy growth of the students and the children are also encouraged to develop their artistic faculties and sense of beauty. Auroville has been acclaimed for its wasteland reclamation and afforestation work. Over the years, as part of its soil and water conservation program, over 2 million trees have been planted, and many kilometers of earth banks erected, ditches dug and check-dams constructed in canyons to catch and hold rainwater and control run-off, thus encouraging percolation and the recharging of underground aquifers for the benefit of the township and its bioregion. It has often been observed that Auroville still has the population of a village, but most of the activities of a township. Among these activities are the community services that facilitate day-to-day life of the community and which form part of the effort to reduce the internal exchange of money. These services range from health care, transport and education to provision of basic commodities. Many are provided free to Aurovilians, financed by City Service, which represents Auroville’s practical attempt to create a base for a shared economy for its inhabitants. 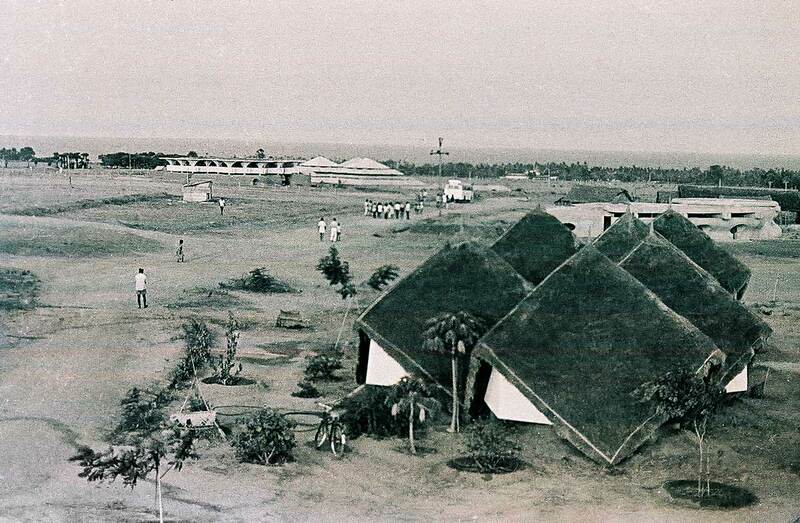 The original vision for Auroville was that industry and commerce would be an integral part of Auroville life, needed to financially sustain the township. Today there are over 180 enterprise units engaged in diverse activities such as handicrafts, offset printing, graphic design, garment manufacture, food processing, electronics and engineering, architecture and the manufacture of alternative energy system such as windmills and biogas plants. Although these units are mostly small-scale, they are all required to contribute part of their income or their products/services towards the development of the township. The Mother stated clearly that “for the realization of Auroville the first step is to establish a true fraternity with the local population". Auroville is a major source of employment for the surrounding villages, home to around 40,000 people, providing some four to five thousand jobs. The community works closely with these villages to improve their infrastructure and to provide education and health care. Over the years, a flexible internal organization has been established by the community, keeping in mind the Mother’s advice that the experiment should not be stifled by a lot of rules and regulations. Effectively the day-to-day running is in the hands of various working groups. Major community decisions are taken collectively by the Residents Assembly, which consists of all members of the community above the age of 18 years . 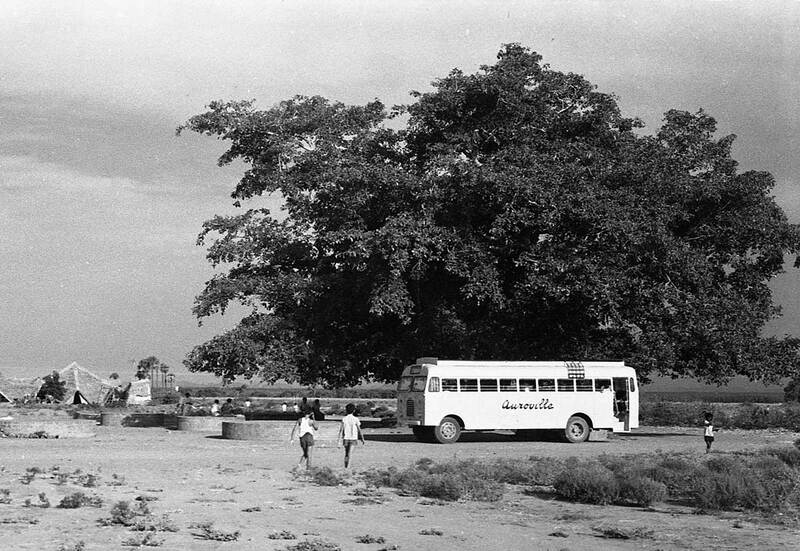 An Act of Parliament passed in 1988 created a holding body for the assets of Auroville called The Auroville Foundation, at the same time establishing a unique legal status for the township designed to assist it in achieving the visions of its Charter.